Catherine and Elizabeth greet their priest, who is wearing white Paschal vestments. 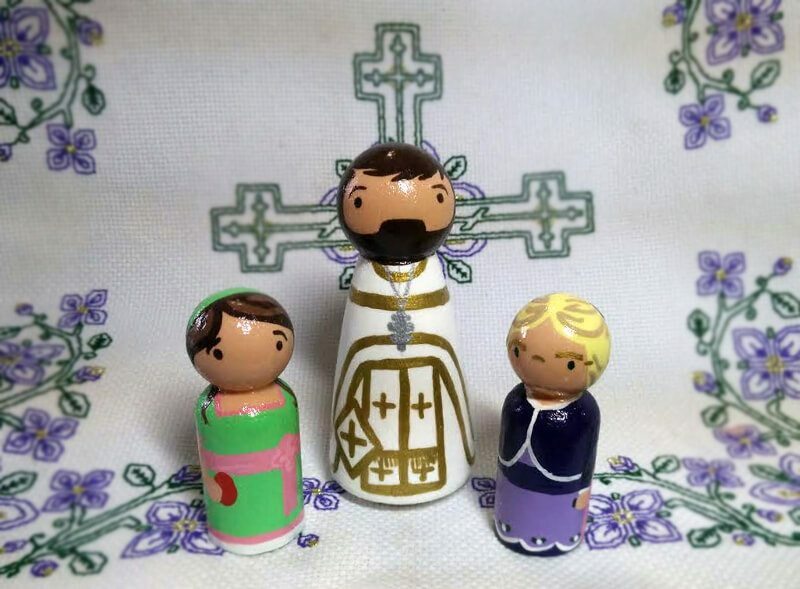 These peg dolls would make a perfect addition to any church school classroom or home collection. 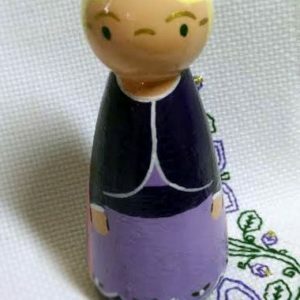 The priest peg doll is 3.5″ tall. 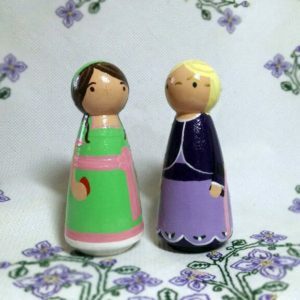 The Catherine and Elizabeth peg dolls are 2 3/8″. 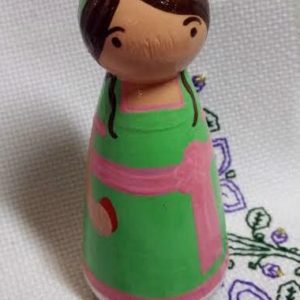 All pegs are solid birch, painted and sealed in non toxic acrylics. Created exclusively for Catherine’s Pascha by Edmund and Ambrose.